Help Universal Pictures celebrate the May release of their new film Robin Hood by honoring your own prince of thieves. The Robin Hood: Lionhearts Program recognizes modern-day Robin Hoods who dedicate their time to change the world by making outstanding and selfless contributions to their communities. Click HERE to become a Lionheart or to nominate someone. 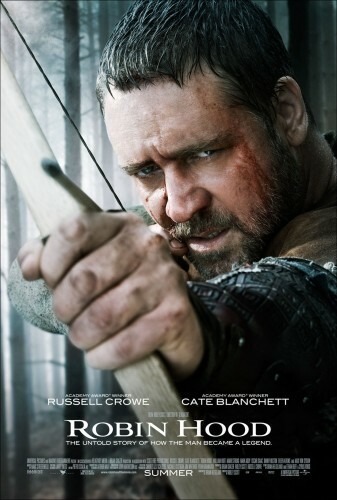 Robin Hood stars Russell Crowe and Cate Blanchett. The Universal Pictures film is directed by Ridley Scott and will be in theaters on May 14, 2010.